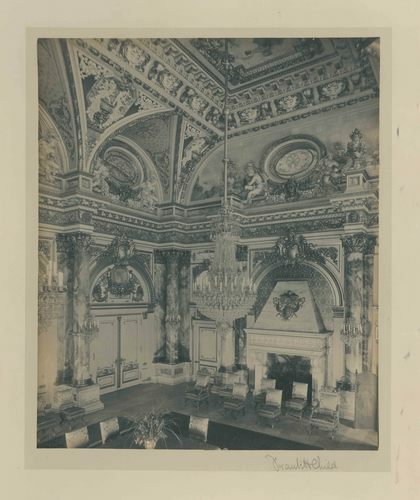 Photograph of the dining room at The Breakers, taken from above. The ornately gilded decoration and marble pillars along the walls are visible. Chairs are lined up in front of a fireplace filled with plants, and a table is just visible in the middle of the room.